Hello all, I hope everyone is feeling good on this wonderful Monday morning! Hope everyone had as good a weekend as I did, as mine was packed full of awesome Tampa Bay area events! One of those events that I did this weekend you may have heard about, as I wrote about it earlier this month leading up to the event, and last Friday as well! First off I would like to say that this tour was amazing, not just because it was a beautiful day to be out on the water, but everything about it, from the food to the fellow participants on the tour. We started things off in the heights district, which is an up and coming area of Tampa Bay that I am really excited about, and is just going to add to the beauty of the area along the hillsborough river. Now for those of you who don&apos;t remember this tour was arranged by our friends over at Gourmet Trek Tours. 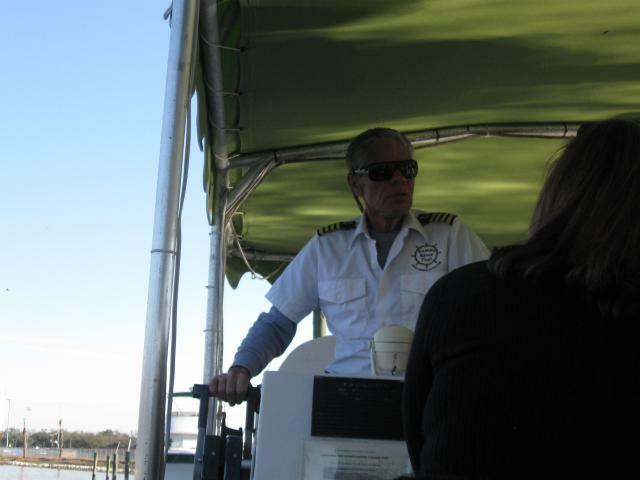 To kick things off, we were picked up by our good friends over at the Tampa River Taxi, and off we went! I am normally afraid of boats, as I tend to get motion sickness, but this was about as smooth a boat ride as I could have imagined, which was a great way to start off the tour! The first stop was at Rick&apos;s on the River. I have been hearing about this place for years, but never was able to physically go by there and check it out. Well, that is going to change, as they had some of the best wings that I have had in Tampa, and that&apos;s saying allot because there are plenty of places that make great chicken wings. Rick&apos;s is a great place to be, whether you just want to hang out and have some great food, or have a huge party, as the pavilion can host over 200 people in a party setting! Oh yeah, and did I mention that the place is on the waterfront? So you can even pull up with your boat and dock it, just like I would pull up to the parking lot and park my car. Pretty sweet huh... We had about twenty minutes or so at Rick&apos;s in addition to all of the other spots, to relax, and sample some of the food that each vendor brought out, before we had to head back to the boat. Back to the boat we went, and this was the most scenic and beautiful part of the tour for me, as we sailed down the hillsborough river and saw plenty of people out on their boats, as well as some of the beautiful scenery along the way as we were headed to the Sono Cafe at the newly opened Tampa Museum of Art. The museum just opened a few weeks ago, along with the gorgeous Curtis Hixon Park in downtown Tampa, and the images you may see on TV or in pictures simply don&apos;t do the place justice. It is stunning to say the least, and I suggest everyone go and check it out if you have the chance. While your there, also be sure to stop by the Sono Cafe, which was our second stop. The crew at the Sono Cafe greeted us with complimentary glasses of wine, and we even got to sample some of their famous Italian Panini sandwiches, which are soooooooooooo delicious! I had to stop myself from going back to get more of them. Once we were done with our panini, we sampled some of the Italian Gelato, which was also friendly to your taste buds. Guys believe me when I tell you I was tempted to not go back to the boat, and just hang out at Sono and the museum for the rest of the day, as it was just that awesome! Alas, I did finally make it back to the boat, and we were off to the next stop, which for me unfortunately was the last stop as I had to leave a bit early. But I was sent off well, as our last stop was on Harbour Island at Jackson&apos;s Bistro! There is nothing quite like taking a water taxi ride to Jackson&apos;s, I can&apos;t even begin to describe the experience. 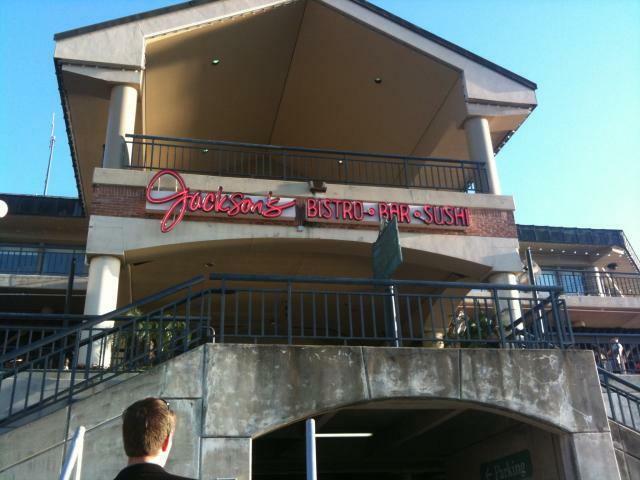 Jackson&apos;s is a great place to relax and have lunch, brunch, dinner, or just see the Tampa Bay nightlife at its best. We went in and just relaxed and sampled appetizers and soaked up the atmosphere. As I said earlier, I had to leave a bit early, even though we still had a few stops left on the tour at Cafe Dufrain, Malio&apos;s, The Columbia Cafe, I believe and I know they were all fantastic! All in all gang, it was an amazing tour, and I only made it half way through! I am sure there will be many more of these tours to come, but in the meantime be sure to check out the Gourmet Trek website, for more info on all of the great tour they have to offer in the Tampa Bay area! That&apos;s all for now folks, but stay tuned for more news and re-caps on things to do in Tampa Bay!